What is it like to experience mental illness? For World Mental Health Day, our Research Digest explores what it's like to live with mental health issues. 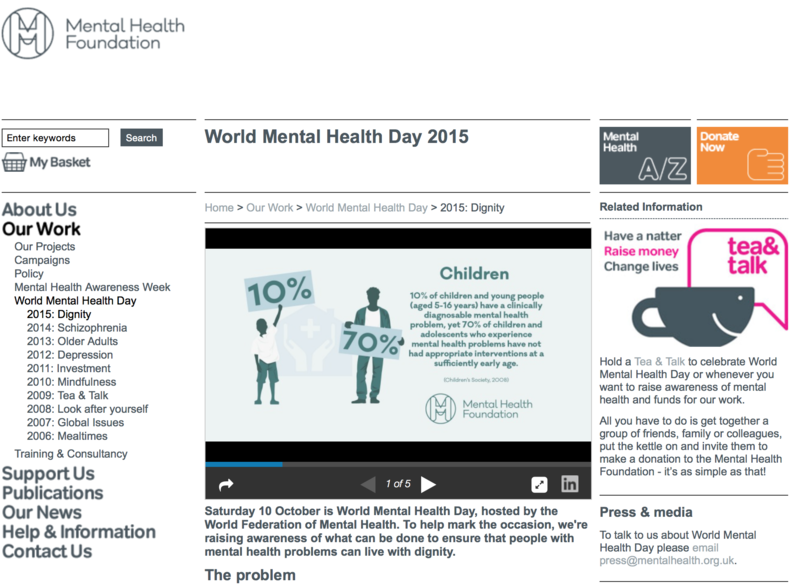 Saturday 10 October is World Mental Health Day. The theme is 'dignity', so over on our Research Digest blog we take an evidence-based look at what it's really like to be someone dealing with mental health issues. You will find further relevant resources on the Research Digest, here on our own website and on the main British Psychological Society site. Just search 'mental health' (e.g. on The Psychologist site). As an example, we would point you to September's 'Looking Back' article on Geel, a little Belgian town that has treated the mentally ill in the community for centuries. What has neuroscience ever done for us?